Read these practical painting tips to help you choose wall colors and buy wall paints. As I read somewhere, “Buy a cute pair of shoes on impulse, but work methodically when you choose paint colors for your home”. 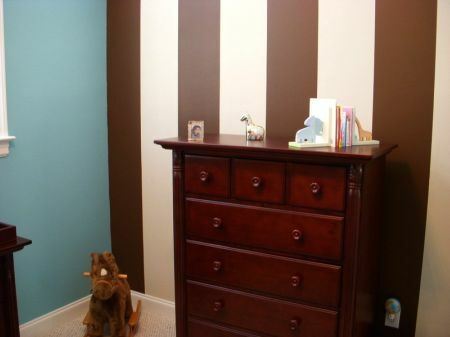 And nowhere is this more important to follow than when choosing wall colors for your kid’s room! To truly understand the power of colors and their emotional and physical effect on us, we will soon offer an informative guide on Understanding Colors (to keep yourself informed and updated on the new pages added to our site, subscribe to the RSS feed of The Blog). Now that you are convinced of the importance of being careful in choosing wall colors, let us review some essential painting tips to help you on the way. 1. Consult the Color Wheel. 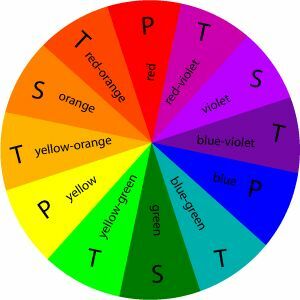 For those of us who are not colorfully inclined and cannot seem to understand complementary colors, the Color Wheel is a reference guide. You could go with an ‘analogous’ choice. That means you choose colors that are next to each other on the color wheel. Or you could opt for the complementary colors. That means you choose colors that are at opposite ends of the wheel. Both the mixes will look good. 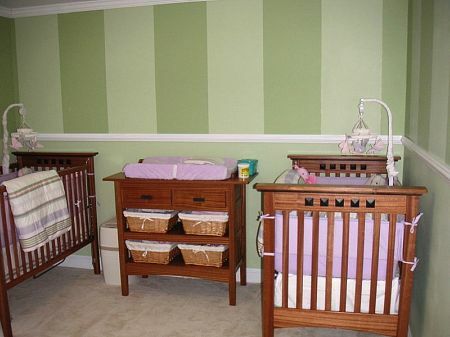 Choose as relevant to your theme or your child’s color preferences. Painting Tips: The colors are divided into primary colors (P), secondary colors (S) and tertiary colors (T). Since this is a long term project, you will be visiting many different stores to find the right color for your kid’s room. Sometimes you pick up paint cards at the local departmental store. When picking up paint cards from different retailers, note the brand and the store from which you have picked them. Or you might find a color you love but have no idea where you can buy it from! 3. Color in the Can vs. Color on the Wall. Colors look different in different lights and also when wet or dry. You should carry paint samples home and test them in the actual room. If you are painting sample directly on wall, remember that the original color of the wall can cause the new one to alter its hue. Hang a poster board instead to check the true color. Check the color in natural light of the day, in the lamp lit nights and also under night light. Painting Tips: You might want to buy one shade lighter than the color you like. The paint colors seem to intensify once they are on the walls. 4. Take your Room Measurements. 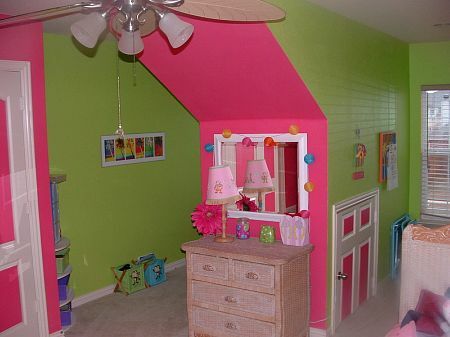 You need to buy enough wall paint to cover the entire room including the ceiling. Take the room measurements with you when you visit the local retailer. A professional can help you decide the right quantity of paint for the job. 5. Buy a Can of White Paint. Having an extra can of white paint has relevant advantages. Whatever the final color you choose, a can of white paint can help. If after purchasing you find the color too dark for your walls, add the white paint to get a softer look. A lighter shade of the wall color on the ceiling is an easy way of giving the ceiling a new life. You could also use the white paint to color the moldings or chair rails. Painting Tips: Always ensure you are buying the same type of paint, and mix enough to finish the project. It is tough to get the same mix again. There are many intricate details to painting kids rooms such as VOC free paints, stain killing primers, chalkboard paint, washable paint, eco-friendly paints and a multitude of paint finishes. Do not hesitate to contact the local retailer and ask for help. A paint job is expected to last several years. You must do all you can to get it right the first time. A new color instantly transforms the look of the room. Since you are not used to the new color, it might seem a bit too much. 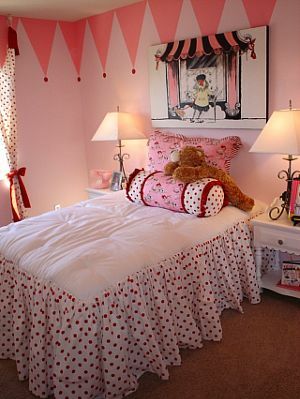 Give the new room a few days to grow on you, before you decide whether the color can stay or just absolutely has to go. 8. Safety and Clean Up. Always use masks to keep the paint smells at a minimum. Wear disposable gloves when painting and especially when cleaning paint from brushes, rollers etc. Dispose of unwanted paint by giving it to a company that recycles used paints. Painting Tips: Store any extra paint for touch ups you might need to do at a later date. Are you planning to paint the room yourself? Make sure you have all the right tools for the job. Involve your kid and Have Fun. Write your name with paint to alleviate the boredom of monotonous painting. Try painting in shapes – make an elephant and color its body! Painting with your child can be a great bonding experience for both of you. Make the most of it.